Salmon is one of my favorite types of fish. It’s mild, full of healthy fats, and pairs very nicely with salty and tangy foods and spices like lemon and rosemary. I like this recipe because it’s simple, fast, and tasty, and it can be paired with a yummy side like this baked potato to make a well-rounded, nutritious meal. Preheat the oven to 350°F. Combine lemon juice, rosemary, and olive oil in a medium-sized baking dish. 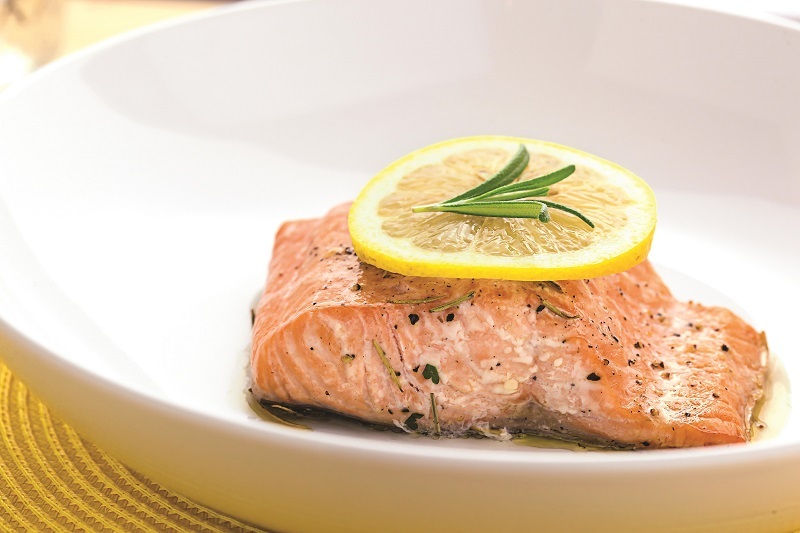 Season the salmon filets with salt and pepper. Add them to the baking dish and turn to coat. Allow to marinate for 10-15 minutes. Cover with foil and bake for about 20 minutes, or until fish flakes easily with a fork.